These images are way overdue to be posted (don't worry! they were delivered long ago! ), but I did want to show off some of my favorite shots from our mini sessions day back in May. For these sessions we went to Irvine park in St. Paul, Minnesota; which is just the cutest little park I've ever seen! We also invited Mothers to join in on the session in honor of Mothers' day. It was a gorgeous spring day! Ari took this one so that I could join in on the Mother's day fun! This guy was happiest when playing with the fountain! If you missed this year's mini sessions day, keep an eye out! We usually do them in the spring! For Abi's 6 month photos we went to the Guthrie Theater and Minneapolis, Minnesota. As an on-location photographer, it's always hard to find indoor locations to shoot in the winter, the Guthrie is one of my favorites! 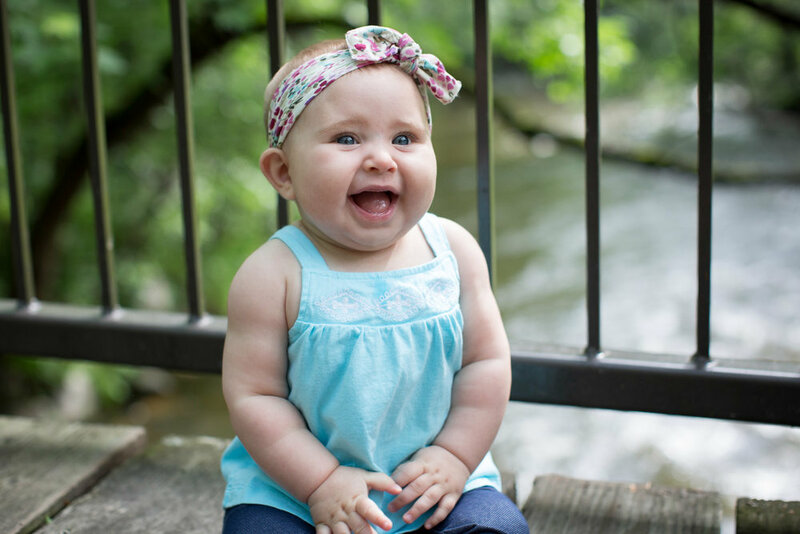 Here are a few of my favorite images from my session with sweet little Abi!